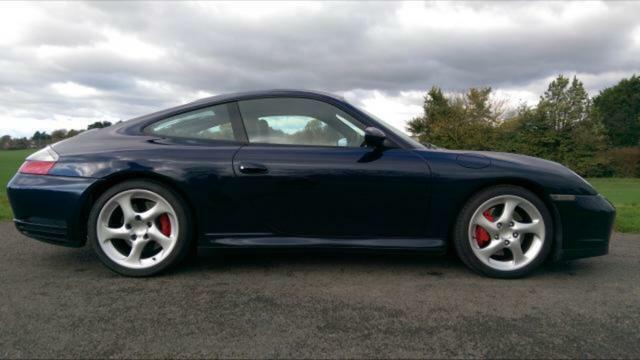 Additional information Great condition Midnight blue Porsche 996 C4S with Metropole blue full leather interior. Benefits from a Hartech rebuild, ensuring it's fully protected from future issues that will affect most 996's at some point. it was actually owned by Baz who is co-owner of Hartech itself so no expense was spared with regards the rebuild or it's maintenance since. - Full Hartech rebuild at 81k miles. 6 New Nikasil cylinder liners, new crank bearing set, new IMS bearing, new timing chain, cylinder head overhauls, new gaskets & seals, low temp thermostat. - Major service + extras June 2017 at Revolution Porsche, Oil, all filters, brake fluid, Polyrib belt, diff seal, tiptronic fluid change, top strut mount front left + right, front bump stops + shock absorber stem washers, front track rod ends + 4 wheel alignment to finish off. - Topgear stainless steel switchable exhaust fitted (sounds incredible) in 2016. Relatively new tyres on rear, fronts circa 3mm tread left. I acquired the vehicle in May 2017 myself, but it's just not as practical as I thought for my commute and the parking situation at work (Large un-lit car park with massive pot holes) which is only getting worse. I've spent £1800 on the most recent service in June 2017 which rectified issues identified by the very well respected Porsche Specialist Revolution Porsche here in Leeds. 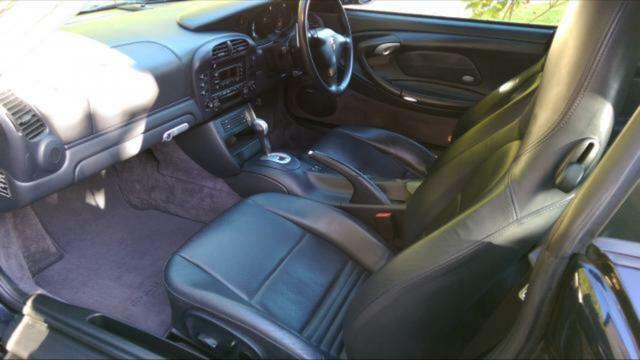 Overall a good condition car which has had all major works done. Obviously isn't the cheapest but rebuilt cars are rare and you can rest assured with this car it shouldn't need any work other than service items for the foreseeable compared to potentially cheaper cars without this work.